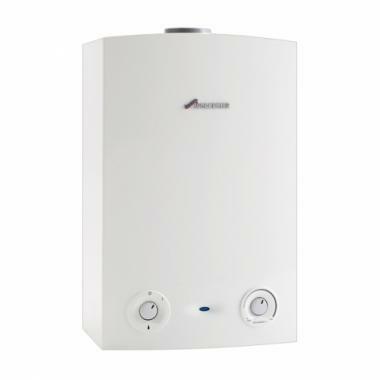 The Greenstar 30Ri is a regular gas boiler that is wall mounted and manufactured by Worcester Bosch. This is a highly reliable boiler with an output rating of 30kW and an efficiency rating of 92%, making it A rated for heat. This range is available in a variety of outputs such as 12kW, 15KW, 18kW, 24kW, 27kW, and 30 kW.With this range there is a boiler that is perfect for any sized home whether it’s a small, medium or large sized. The Greenstar Ri range is compact in size thus making it able to be installed in a standard sized kitchen cupboard - so it can be hidden away out of sight out of mind as well as taking up as little space as possible. This boiler is compatible with a wide range of accessories such as the Greenstore cylinders, helping to make it a complete Worcester system solution for your home. As well as being compatible with greenskies solar panels another way in helping to saving energy and costs. The greenstar 30RI comes with a simple control knob as well as a user friendly display helping to make the boiler easy to use. Also available with other choices of controls to help enable great comfort for you and your homes as well as helping economy. This boiler comes with 2 years warranty helping to ensure you’ve got a reliable boiler.